Check the sidebar for more information. I went through a huge dotillism phase back in high school. I even decorated all my graduation invitations with dots (which PS. took a good few months!) Then, I went to college and never found the time. 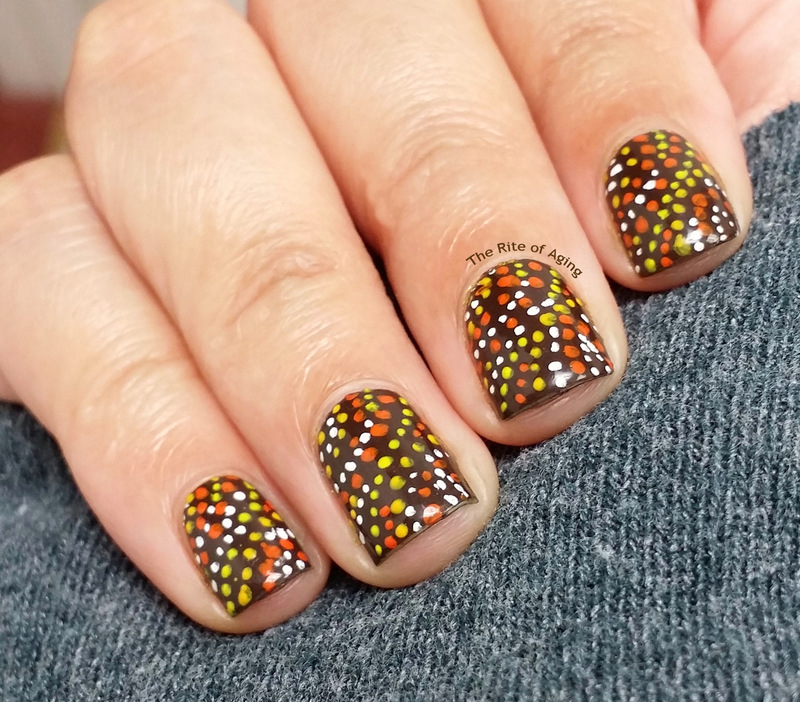 Recently, dotillism has sky-rocketed into popular culture, especially in the nail art world, and I thought I would re-visit it. While my students were working on their comic books during summer camp I doodled and dotted while I waited to check their work. I even got some of them into it! After yesterday’s nail art debacle I sat down, focused and FORCED MYSELF TO GET THIS DONE. There is room for improvement since this is my first attempt at true dotillism on my nails but I am seriously digging the end result. Disclaimer: This is not RA-friendly.